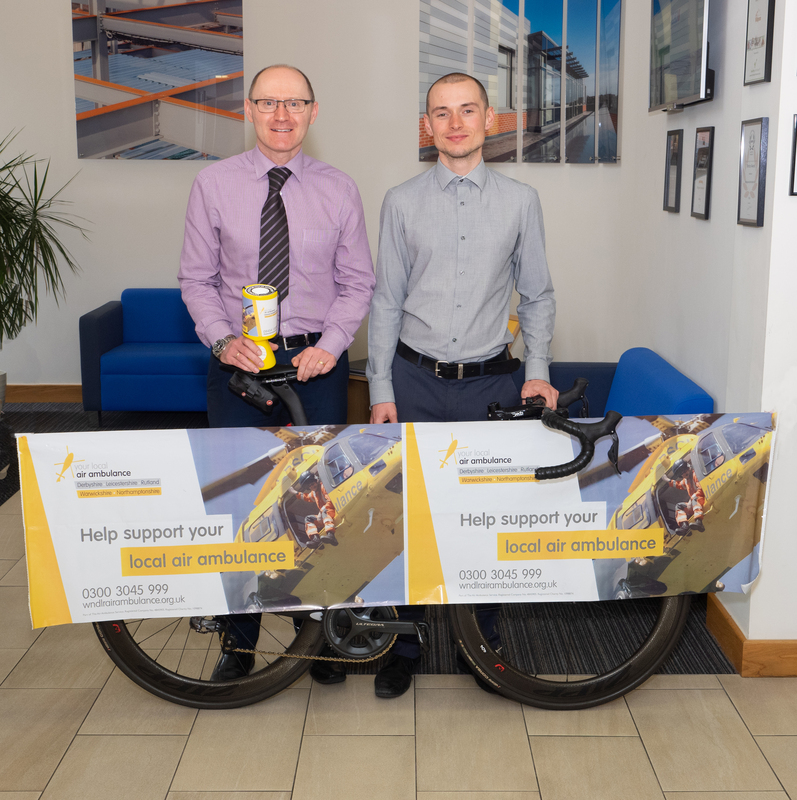 A quantity surveyor at Wildgoose Construction is aiming to raise £25,000 for the Derbyshire company’s chosen charity by cycling 922 miles in eight days. Joshua Mee, 27, is set to take part in the Great LEJOG Bike Adventure from Lands End to John O’Groats in June this year in aid of the Air Ambulance. The Air Ambulance flies two air ambulances across Derbyshire, Leicestershire & Rutland (DLRAA), Warwickshire and Northamptonshire (WNAA) and has been Wildgoose Construction’s chosen charity since 2017. It provides a rapid response of just 13 minutes to trauma and medical emergencies over an area of 3,850 square miles and is non-Government funded. Jonathan Wildgoose, Executive Chairman of Wildgoose Construction, based in Alfreton, said the company was fully behind Josh’s efforts. “Since 2017, we have raised funds by giving clothes, bric-a-brac and furniture to keep the charity shops well stocked. In addition, we raise donations through organised activities that include raffles and cash alternative to Christmas cards; as wonderful and welcomed as this has been, nothing compares to the determined effort that our colleague Josh is planning to undertake in June 2019 for this amazing charity. Josh will travel the length of Great Britain, with a 52,287 elevation gain, and will be joined by colleagues from Wildgoose Construction along the way, whilst colleague James Cruse will be on hand at all times. He will set off on June 15th.